This photo by Marc Lostracci is licensed under the Creative Commons Attribution 2.0 Generic license. Constitutionalism in multinational democracies, for purposes of legitimacy, must account not only for questions of justice, though it is a central aspect, but for identity and stability as well. These considerations must be addressed together in the management of diversity. In balancing between collective and individual rights, constitutions also recognize social categories, based on such characteristics as gender, sexual orientation, ethnicity, disabilities. What Gagnon and Iacovino miss is how the law does not simply “manage” diversity, but helps to constitute it through the production of difference. One of the great virtues of socio-legal and critical legal scholarship has been emphasizing this fact. Law, alongside other social forces, has played a tremendous role in constituting the identity of aboriginals, the economically worthy and unworthy, and those who warrant forgiveness and those who do not. In the Canadian context, one of the most notable ways that law has both produced and managed various differences is the production of legal categories and precedents established to manage religion. These are of particular note today, given the growing concern about so called “Islamic terrorism,” and paranoia over whether immigrants from certain ethnic and religious groups hold to “Canadian” values. 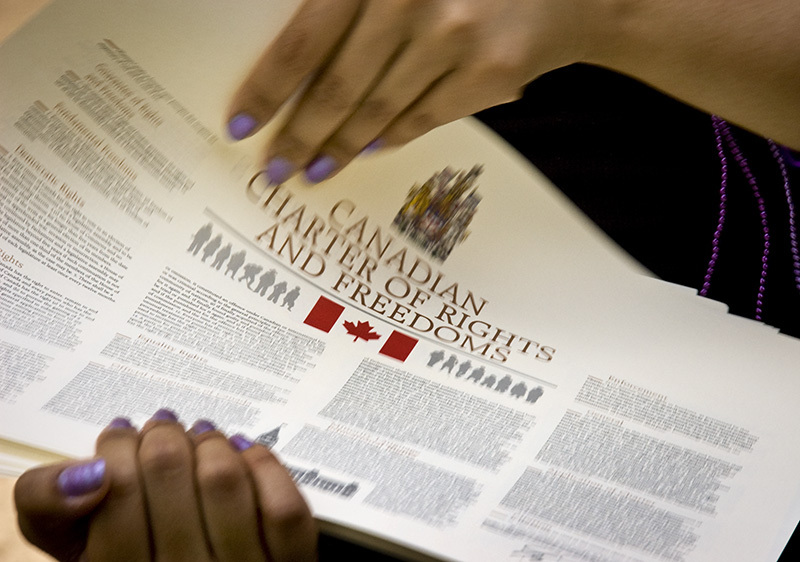 Canadian law recognizes the importance of religion in several places, and general in prides itself on pursuing policies of toleration towards individuals of all religious groups. Indeed, “freedom of conscience and religion” is recognized as a fundamental freedom in the Charter. And Judges have often been willing to uphold the rights of religious individuals. In Syndicat Northcrest v Amselem (2004) the SCC permitted a Jewish individual to construct a Succah on his apartment balcony during the festival of Succot despite demands that he desist. In Multani v Commission Solaria Marguerite Bourgeoys (2006) it allowed a Sikh boy to wear his Kirpan to school despite claims that it was a dangerous weapon. Perhaps most notably, the Court struck a chord for the rights of Muslim in R V N.S (2013) which concerned the rights of an observant Muslim woman to wear a niqab under cross-examination in Criminal Court. Finally, the Court ruled that the province of Quebec cannot force Loyola High School, a private Catholic boy’s institution named after the founder of the Jesuit order, to teach a course on religion and ethics from a neutral perspective. To do so would undermine the specifically Catholic orientation of the schools teaching. 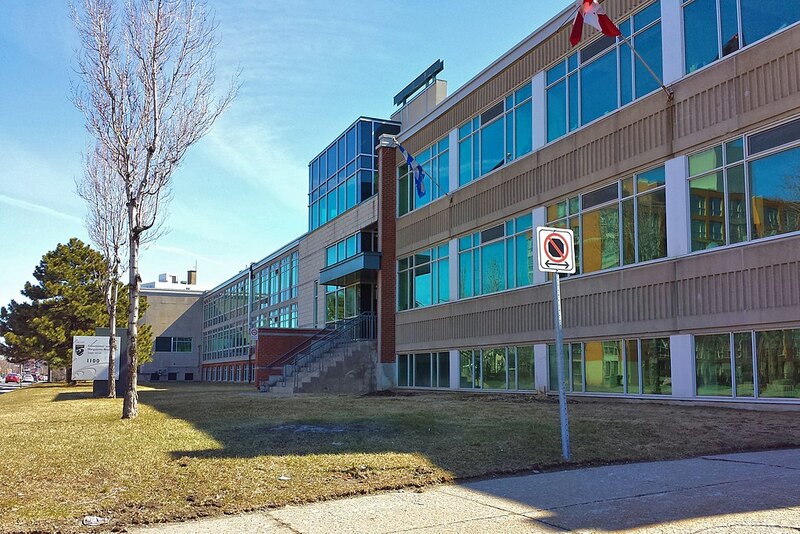 The Headquarters of Commission scolaire Marguerite-Bourgeoys, the public school board that attempted to prohibit Gurbaj Singh to from wearing his kirpan to school. This photo is licensed under the Creative Commons Attribution-Share Alike 4.0 International license. In each of these cases, religion is understood through the lens of the technical mindset. Justices weigh and assess the value of religious practices to various individuals, and theorize on their relation to individual rights to freedom of religion and expression. This is most apparent in the Loyola decision, where the Court implicitly appeals to Mill’s harm principle in arguing that a secular state must “balance” protection for religious freedom with the values of the secular state. The context before us — state regulation of religious schools — poses the question of how to balance robust protection for the values underlying religious freedom with the values of a secular state. Part of secularism, however, is respect for religious differences. A secular state does not — and cannot — interfere with the beliefs or practices of a religious group unless they conflict with or harm overriding public interests. Nor can a secular state support or prefer the practices of one group over those of another: Richard Moon, “Freedom of Religion Under the Charter of Rights: The Limits of State Neutrality” (2012), 45U.B.C. L. Rev. 497, at pp. 498-99. The pursuit of secular values means respecting the right to hold and manifest different religious beliefs. A secular state respects religious differences, it does not seek to extinguish them. Such a utilitarian approach, which seeks to balance the needs of the secular state and its regulatory agenda against the religious differences of individuals, unfortunately conflates religious expression with other forms of expression. It is weighted according to the value religion has for the individual, and the role of the given form of expression might play in the religious community, and is balanced against the state’s need to promote toleration and a secular set of shared values. Every actual relationship in the world is exclusive, the other breaks into it to avenge its exclusions. Solely in the relation to God are unconditional exclusiveness and unconditional inclusiveness one in which the universe is comprehended. Although this may not be true of all religious beliefs, what is key is that religious worldviews can fundamentally be contrasted with the technical worldview adopted by the Court in its approach to religious toleration. The ontological framework for the Court’s reasoning implies that religious beliefs are a social phenomenon of some worth which, where they contrast with other important values, should be weighted and balanced in a utilitarian manner to determine which beliefs should be permitted and which should not. The Court sees moral value and flowing from the individual’s evaluations and being realized through a host of competing social values which it is the laws’ obligation to weigh and measure. This displays the particular worldview enabling law to produce difference. The Court regards individuals as atomic units that ascribe value to the world and maintains that it exists to protect their rights to live as they wish. But since it is also the Court’s duty to maintain social order through law, the values of individuals are secularized and aggregated so that they can be measured against others that the Court deems socially valuable. This is the double movement through which law produces difference: by taking the individual and reifying their values so they become representative of a broader array of differentiated and potentially disruptive social values which it has always been law’s duty to control. This pluralistic social outlook lends itself to such utilitarian calculus. This is fundamentally different from the onto-theological standpoint of some religious beliefs, such as those of Loyola Catholic High School, which holds that God is the highest reality and the source of all other values, including those of the secular state. To put it in Kierkegaardian terms, the Court is unable to recognize how a belief in God can demand that religious individuals teleologically suspend the ethical demands of the secular state. Therefore, in those situations where the demands of good cannot be reconciled with the social values of the secular state religious individuals and even political actors will be forced to abandon their practices; as they did in Big M Drug Mart and more recently when requiring Mormons to abandon polygamy. What law does in these situations is not simply to manage and regulate difference, but to produce it through continuously deciding which religious groups can be accommodated within the secular state. The Court’s decisions, while often commendable individually, have the effect of translating the onto-theological values of religious individuals into secularized mores compatible with a legal technocrat’s approach to weighing and evaluating. This is why religious expression, and the values affiliated to it, can only be understood in terms of their significance for both individuals and the group. In those cases where the Court cannot find a way to translate the values of religion into utilitarian terms, it labels them as unreasonable and forbids them. The individuals who held the views now forbidden are then transformed into a group ideologically positioned against the law and the values it upholds. But the same is true even of those who win a positive decision at trial. Instances where individuals have their rights to practice their faith as they wish may be commendable, but they still demonstrate the law transforming the individuals into members of a group whose practices are to be viewed with suspicion and whose metaphysics can be subject to scrutiny. As Schmitt has argued, the law cannot help but render a decision on which secularized theological values are to be accepted by the state. In so doing, liberal law shifts from its initially individualistic focus to one in which the background presence of state power becomes manifest and, in so doing, helps to produce individuals and groups that hold to officially differentiated values by signifying that their values exist both outside its ideological horizon, but function within its purview to regulate. In this manner, difference is continually produced and divisions deepened as the law is called upon to decide on controversies that it is, in part, responsible for. These tensions are undeniably disconcerting, and raise questions about the legitimacy and consistency of liberal legality and its claims to simply mediate difference.